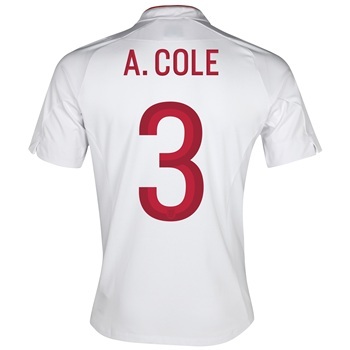 After 400+ amateur games, most of them at left back, let’s just say I know a bit about this specialist position. It’s an important role in the team: not only do you need a left foot, but you also have to be able to combine attack and defence as well as running up and down the flank all day long. My Top 4 Left Backs … Ever. 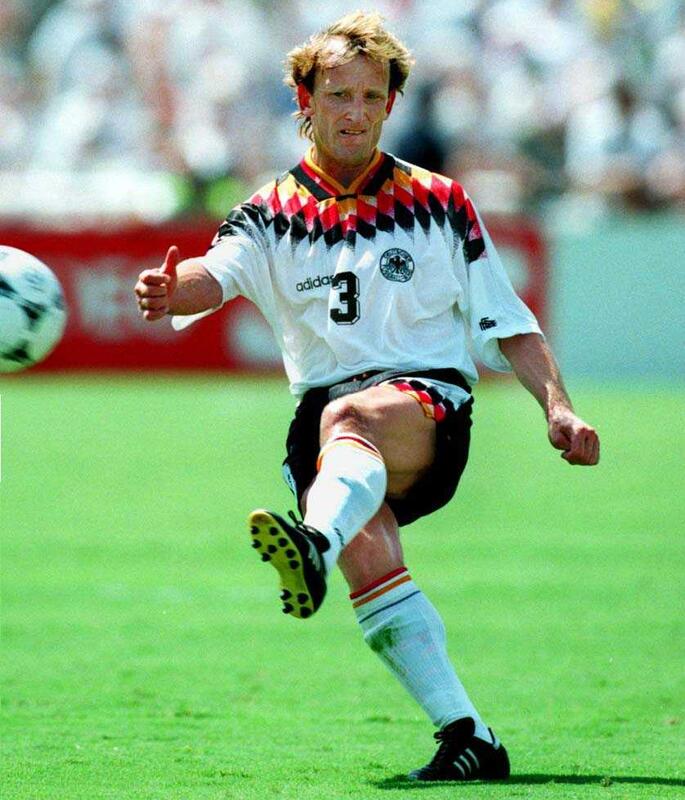 Above all else, a spectacular athlete, Brehme had it all: left foot, right foot, heading ability, pace, stamina, an eye for goal, the killer pass, he was a dead ball specialist and probably would have excelled anywhere on the pitch. Scorer of the winning goal in the admittedly dire 1990 World Cup Final, he averaged a goal every ten games for West Germany and picked up many titles and championships in an illustrious 17-year career. With legs like two Shetland ponies dangling from his torso, Roberto Carlos was the epitome of the classic Brazilian footballing ideology: attack is the best form of defence. With him in the side, you never needed a left midfielder because he always did the work of two men, which actually proved very handy for his national side as it allowed them to shoehorn more playmakers into the team further up the pitch. Always likely to be remembered for the most outrageous free-kick of all time, there was a lot more to his game than just pummeling the ball towards goal from 40+ yards (which was just as well really as he seemingly never scored another set piece in his life). His longevity alone makes him a remarkable player, but his all round attacking game combined with his legendary last-ditch tackling (usually because he was running back towards his own goal after being caught out of position) made him really stand out not only in that talented Brazil line-up, but in world football. Not the best defender on the list by any means, but still a winner. 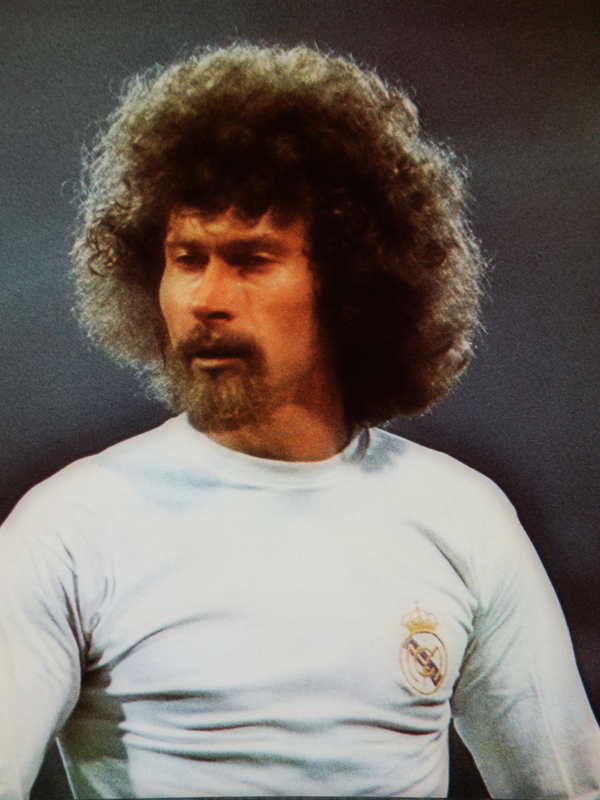 Speaking of winners, I give you the prototype modern full-back, Herr Paul Breitner. One of all the all-time greats of German football, Breitner straddled both the old, black and white game of the 1950s and 60s and the technicolour modern spectacle that his all-conquering Bayern team ushered in with their three straight European Cups between 1974-76. The fact he only won the first trophy with the club, having left for Real Madrid in 1975, itself sums up nicely the changes that were afoot with the global game. 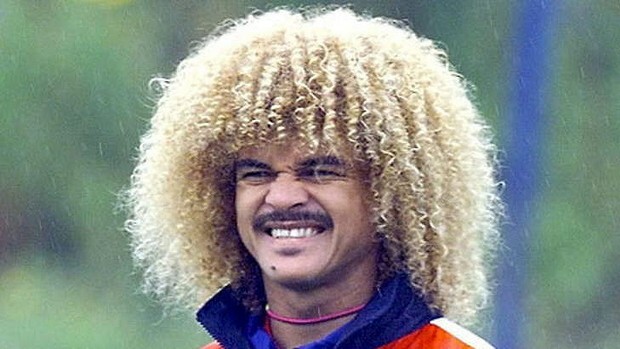 Though he looked suspiciously like a member of the rock band Boston, behind the ‘tache/beard and the second-most famous afro in world football (after Carlos Valderrama, of course) there lay a man of steely determination and no mean technique. One of the few players to actually move up the pitch as he aged, he forged a highly successful partnership with Karl-Heinz Rummenigge in the national side, reaching four major finals, though only actually winning Euro-80. Prior to that he’d played in defence alongside Bertie Vogts in an equally outstanding side. Breitner is also one of only four players in history to have scored in two World Cup Finals, putting him alongside Vava, Pele (both Brazil) and Zidane (France). Not bad for a left back ! 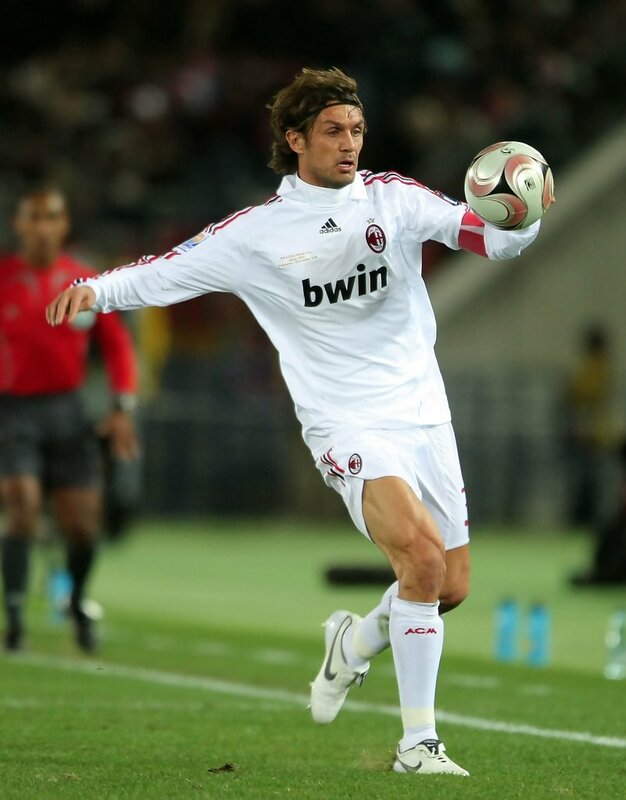 Though he could have just as easily been included as a centre-half, Paolo Maldini’s incredible career was played mostly from the position of left back, a role he made his own at his one and only club, his beloved AC Milan. After making his debut aged just 16 in January 1985, Maldini enjoyed 25 seasons playing for the Rossoneri, finally retiring in 2009 at the ripe old age of 41. Nicknamed Il Capitano, Maldini was seemingly around forever and was almost a force of nature during that outrageously long and prosperous run at the top. A proper out-and-out defender who actually only ever tackled as a last resort, he would’ve flourished in any era and the fact he was also a one-club man only added to the legend. Although he retired famously saying he had “No regrets” the fact he never won the World Cup with Italy must have rankled. 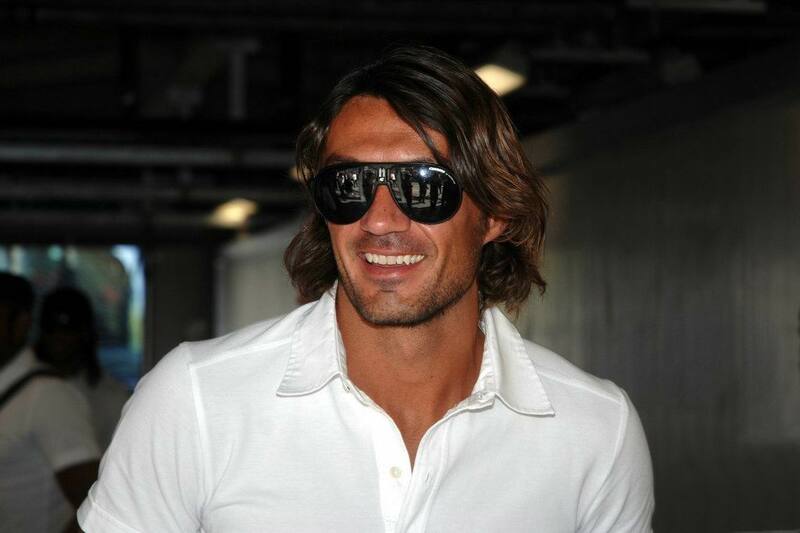 If ever a player deserved the title it was Paolo Maldini. One small consolation is that Milan have retired the No.3 shirt in his honour and have promised only to allow it to reappear should one of his sons make it into the first team. Honourable mentions: Ashley Cole, Bixente Lizarazu, Stuart Pearce, Jose Antonio Camacho, Giacinto Facchetti … and Phil Neville. Roberto Carlos never scored another set piece in his life? That’s just wrong, he scored plenty. Although he was never consistent he is just as consistent as the likes of Cristiano Ronaldo today. Scored lots of ridiculous free kicks in his time just people only remember one. Jonny, I think you’ll find he only ever scored one more free kick in his career.